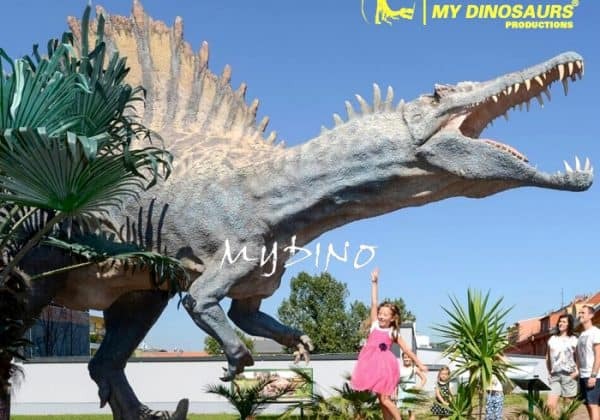 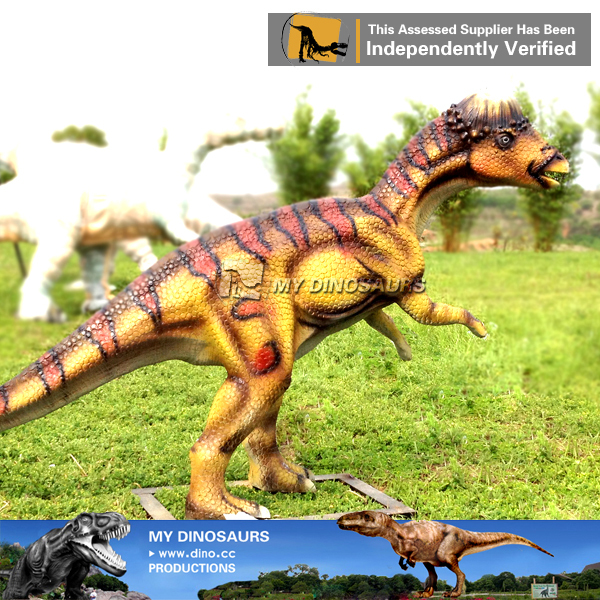 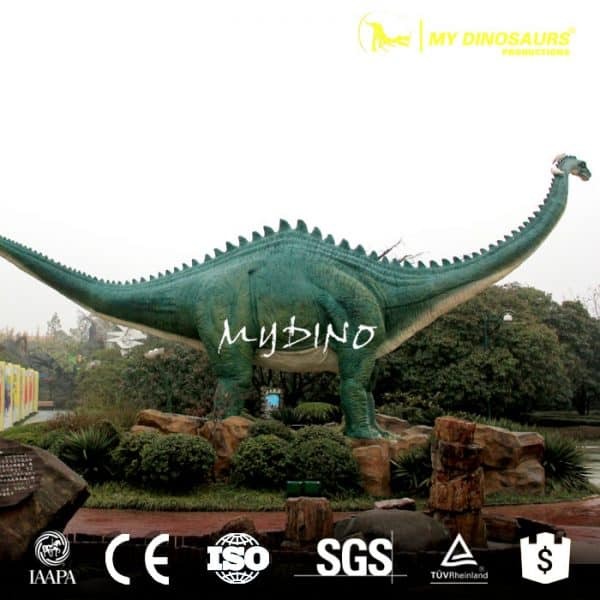 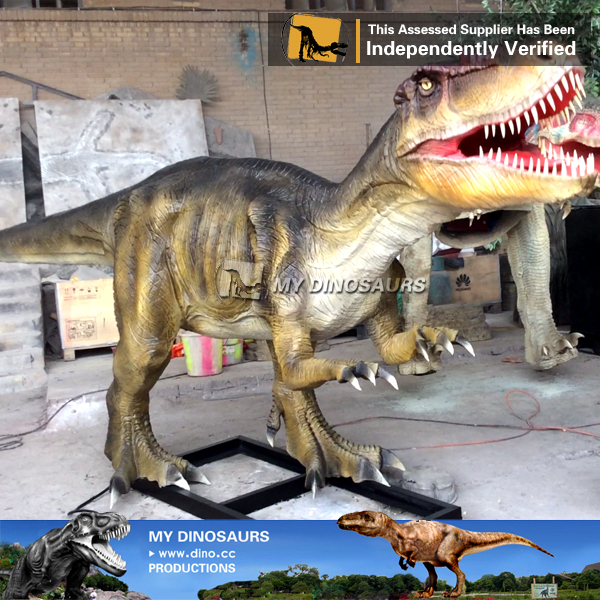 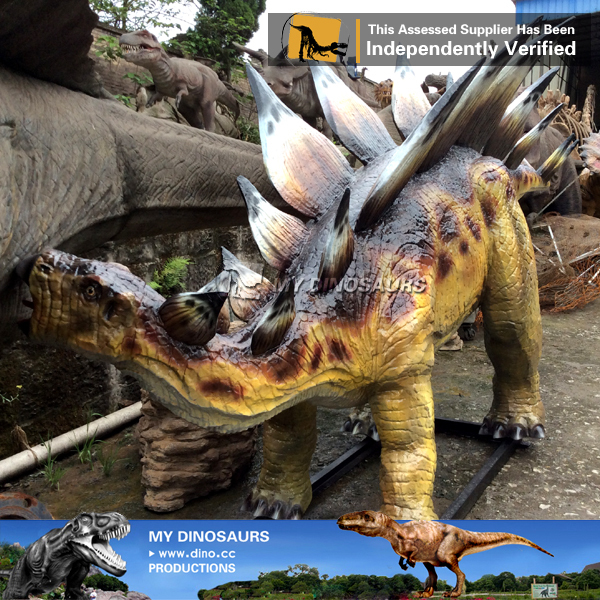 Got attracted by the dinosaur with a large, heavily built, herbivorous quadrupeds with rounded backs, short forelimbs, long hind limbs, and tails held high in the air? 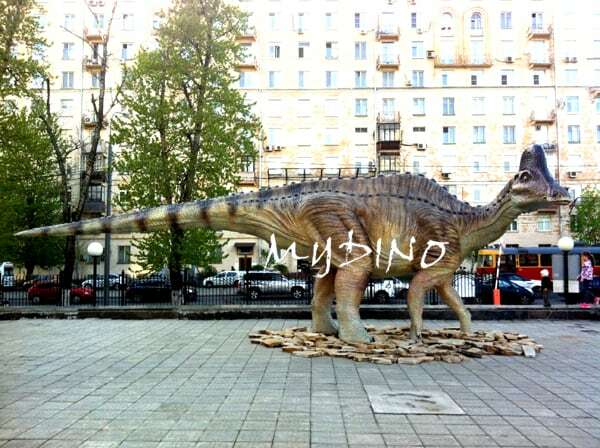 It is Stegosaurus. 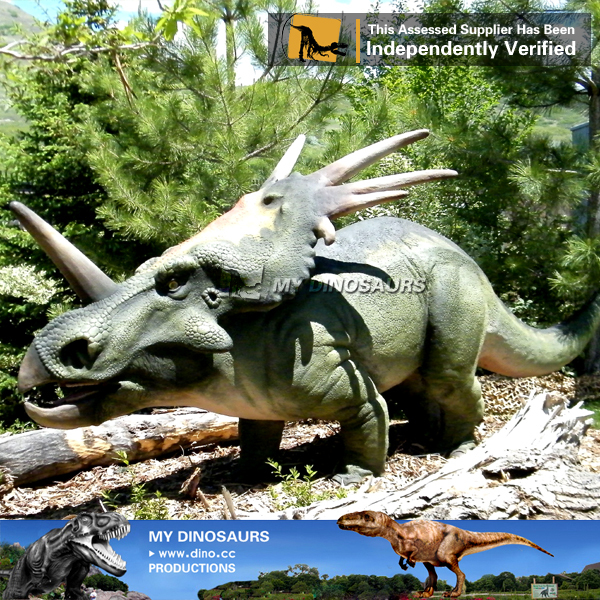 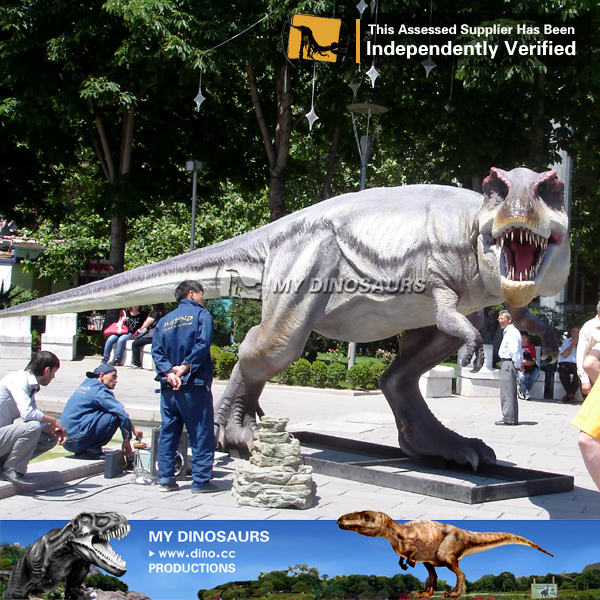 With special spikes on its back, and the special color, this Stegosaurus statue makes every passer-by want to touch it.